Fairfield Inn Lexington Keeneland Airport Lexington, Hotel null. Limited Time Offer! Fairfield Inn Lexington Keeneland Airport. Hotel "Fairfield Inn Lexington Keeneland Airport" has received 2 stars. This residence is ideal for exploring Lexington. The residence boasts 55 rooms in total. The air conditioning keeps the warm weather outside, always ensuring a comfortable bedroom temperature. The accommodation has a covered swimming pool. For guests who fancy sporting activities, this residence offers tennis and golf. The sports facilities also include a gymnasium. Visit the jacuzzi to recover from your physical activities. Breakfast is included in the room's rate and provides you with a good start to the day. You have access to the Internet at no extra charge. This hotel is now a 100PCT non-smoking property. The property is an upscale, corporate hotel with easy access to corporate centers, downtown, the University of Kentucky and area attractions. We feature an indoor pool and spa as well as a complimentary continental breakfast. The Property Is An Upscale, Corporate Hotel With EasyAccess To Corporate Centers, Downtown, The University OfKentucky And Area Attractions. 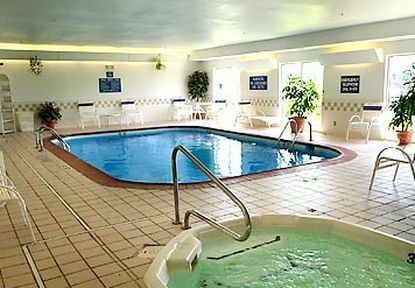 We Feature An Indoor Pool AndSpa As Well As A Complimentary Continental Breakfast.We have a smoke free policy.